The dough for this bread was prepared in the morning, left to rise until almost doubled in volume, shaped, and left to rise until passing the poking test. It was baked in a same day. * Please adjust the liquid content to your flour. If your flour absorbs more liquid, feel free to add more liquid during mixing. 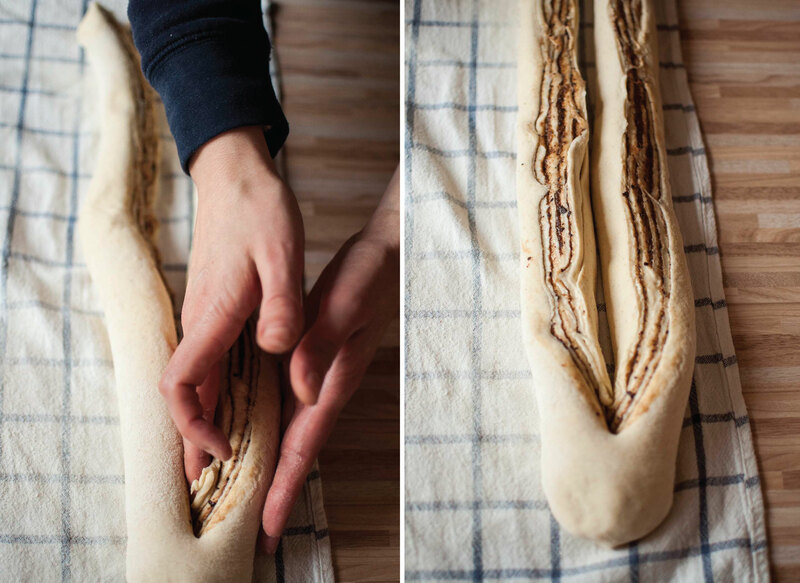 The dough for this bread is soft and not so sticky, but not runny (see photos below). 1. In the evening, first prepare your sourdough starter. Mix 100 g of white wheat flour, 100 g of water, and 1 tablespoon or your base starter. 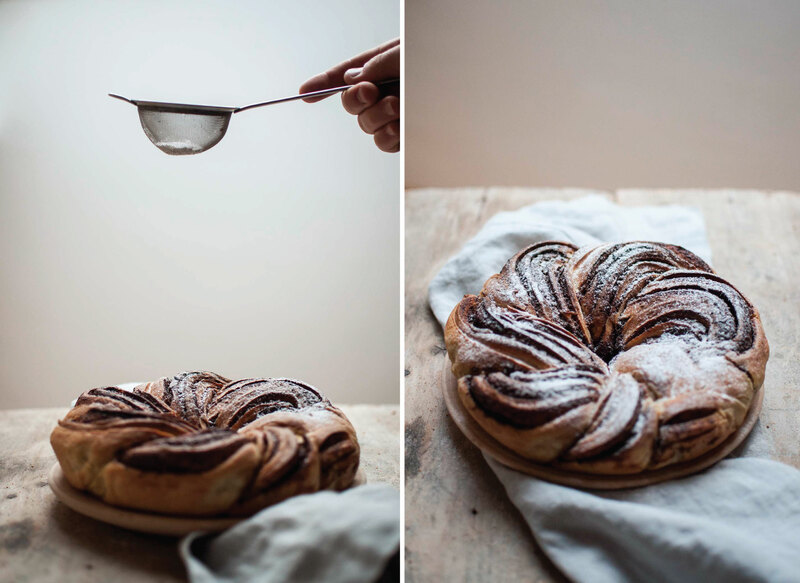 Leave it to ferment until risen, puffed, active and bubbly, so you will be able to mix it into the dough next morning. 2. In the morning, mix the dough. First, dissolve all of your starter in 180 g of water. Add egg yolk and melted butter. Next, add all of the flour (370 g), salt and sugar. Mix well, and knead the dough for 10 minutes until smooth. Shape it into ball and place it into a bowl. 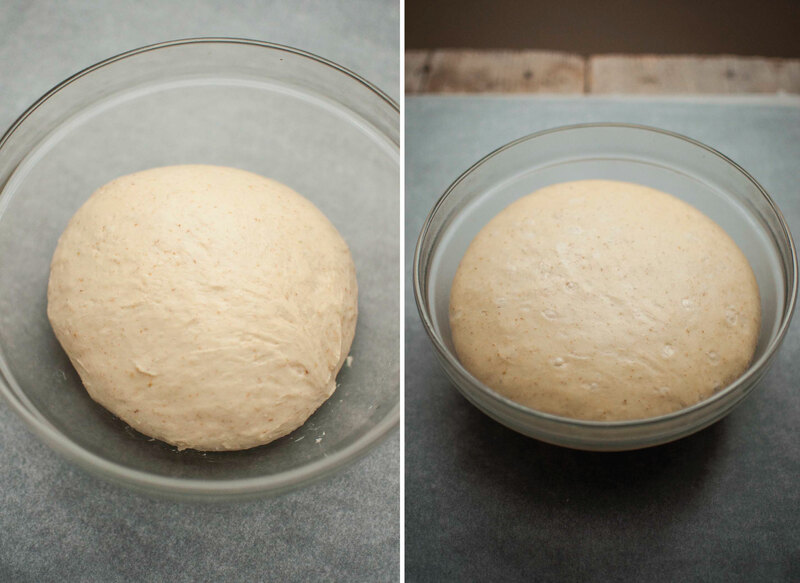 Cover with a plastic wrap and leave to ferment until doubled in volume (right photo below). My dough needed 3.5 hours, yours might take more or less, depending on the temperature of your kitchen and power of your starter. 3. 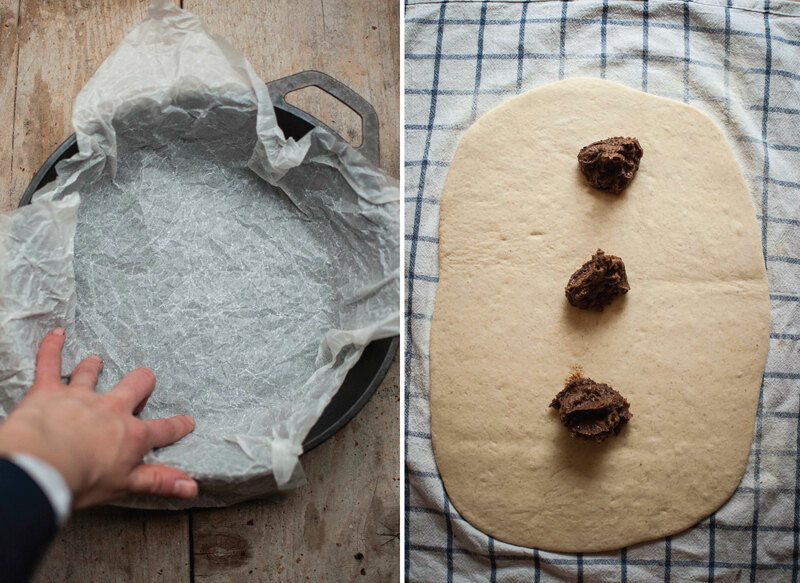 When you see the dough is about to be ready, prepare the filling. Mix softened butter, sugar, cinnamon and grated chocolate. Also, take your dutch oven (or any other pan) and line it with a piece of parchement paper and grease it with butter. 4. 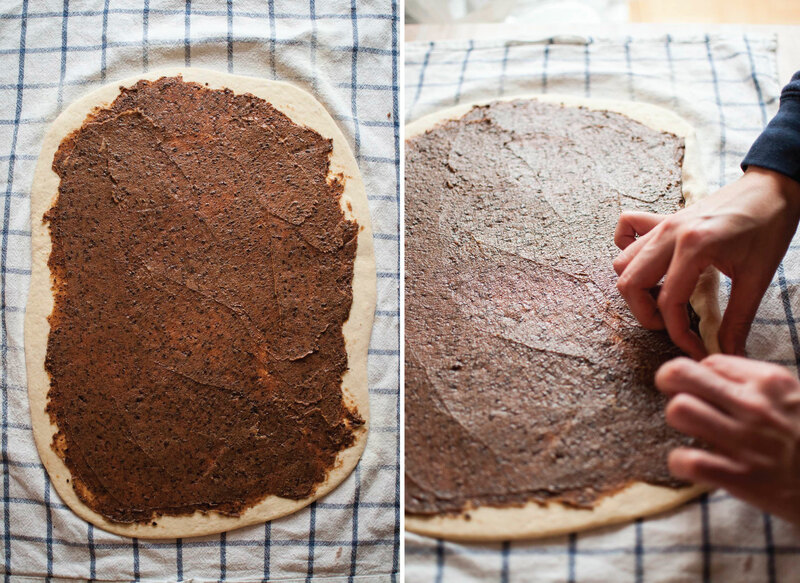 Roll the dough to be 5 mm thick or 30×45 cm (12×18 inch) wide. Drop the filling across the rolled dough and spread it thinly, leaving 2 cm (1 inch) from all sides. 5. 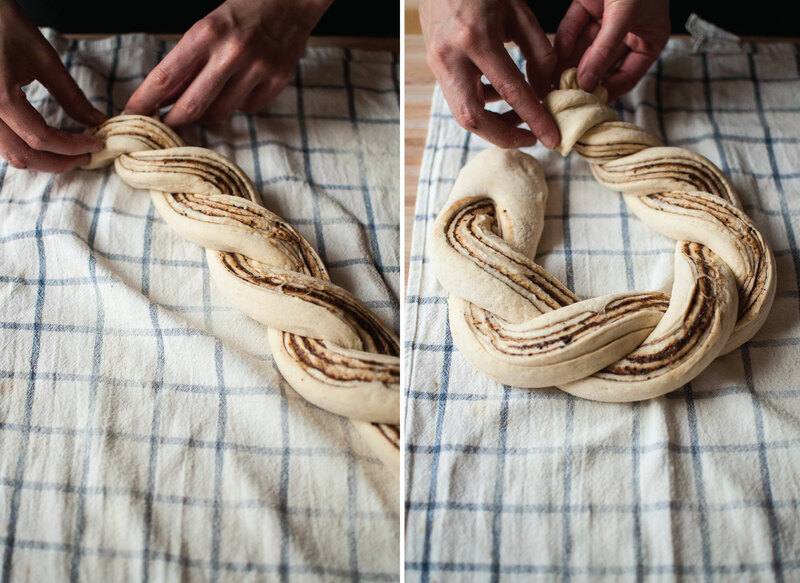 Roll the dough from the longest side, then thuck the ends underneath. 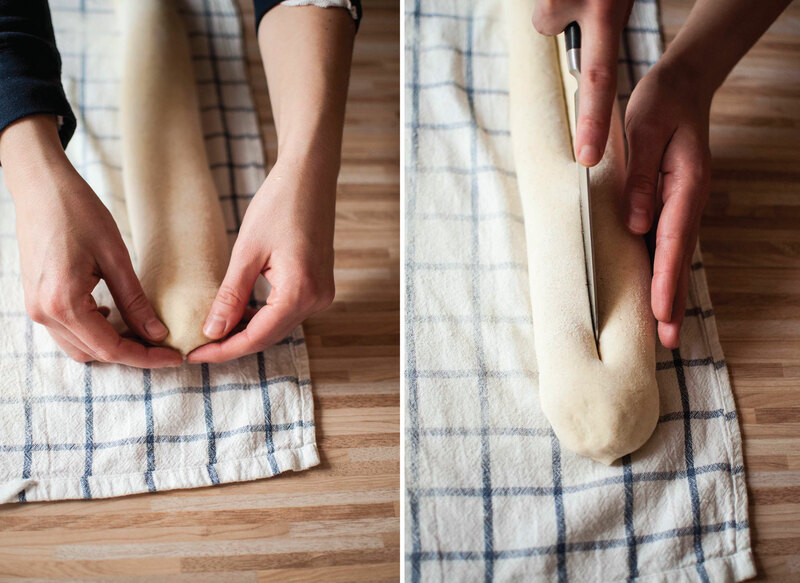 Cut the rolled dough in half length-wise. You can cut as I did, leaving some part of the dough uncut or you can completely cut it in half. Flip the cut halves outwards. 6. Start braiding two strands one over another. Tuck the ends together to form a circle. 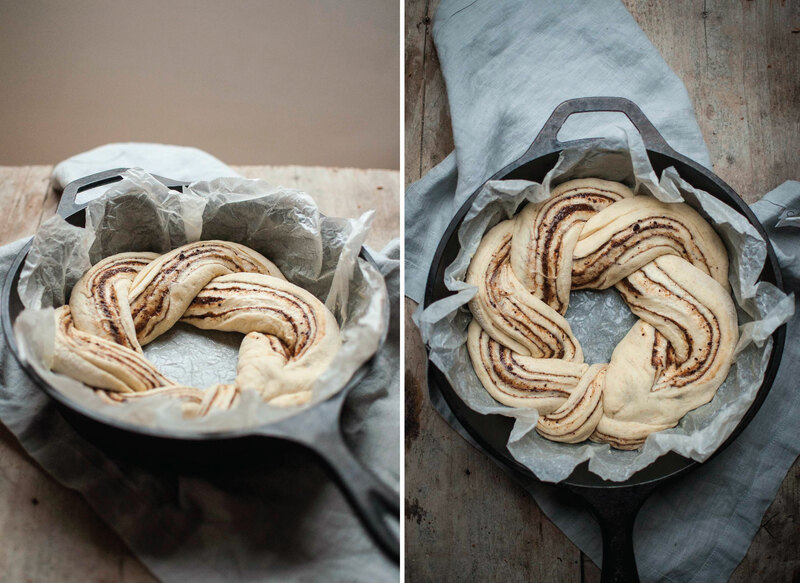 Place the twisted bread into dutch oven and let it rise. Leave the dough to rise until puffed (doubled in volume). My dough needed 1.5 hours. 30 minutes before the baking preheat the oven to 200°C (375°F). When the dough is ready, put the dutch oven into oven and bake it until well baked, 30-40 minutes.